A Recipe for Better Customer Service ...whipping your staff admin processes into shape! Your workforce is your most important, and often your biggest, business asset so better structure and processes around managing your staff offers many obvious benefits such as time savings, money savings, better staffing decisions, increased control and peace of mind. However, there are benefits that are not always so obvious... one of those is better customer service! Essentially, your staff are your business. They are your representatives, your front line, the driver behind your day to day operations. Your product and service offerings, customer service and reputation all rest on your staff - so you need to ensure you manage them effectively. 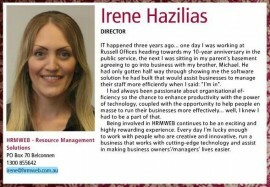 On Page 27 of the CityNews "Winners in Business" edition you can read about how Irene Hazilias, one of HRMWEB’s Directors, got involved with the business she says brings her new challenges and great adventures every day. The "Winners in Business" Edition is jam packed with many inspirational stories of women in business in Canberra. It's a great read! So grab a copy on stands or visit the CityNews Web Edition OR read on to see Irene's "Winners in Business" CityNews insert. Every year all those in the know gather together for Australia’s premier retail exhibition & conference. This year retail2011 was held in Melbourne from 12-14 September. HRMWEB attended retail2011 as part of the "technology" section which showcased products that retailers could use within thier businesses to help with a whole range of business activities and processes. Retail is a rapidly changing sector but luckily technology solutions can cater to such rapid changes and set businesses up to be as streamlined and productive as possible. 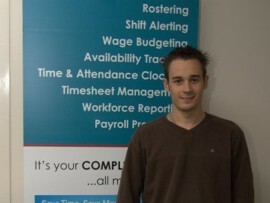 HRMWEB’s 2011 “Business in Focus Month”* Seminar Workforce Management – The Old Way or The Smart Way? HRMWEB is excited to be partnering with Hardwickes Financial Management and the ACT GovernmentBusiness & Industry Department (BID) to present this "must attend" seminar for those wanting to find "smart" ways to manage their staff. 1) Are you an owner or manager representing a single or multi-site business that sits within the retail, hospitality, recreation, healthcare, telecommunications, manufacturing or service industry? 2) Do you have staff working for you - especially a mix of full-time, part-time and/or causal? 3) Do you want to learn about easier and more cost effective ways to manage your workforce? It’s “un”conventional. It works. I like it! “The world has changed and so must business education” - it’s the tagline for the “Young Entrepreneurs Unconvention” being held in Sydney 15 September... and although it’s an obvious statement it took the people at “The Entourage” to make it happen. In September's “Guest Writer Series”, Carolyn Queale, Manager of Spysee – The Customer Experience Experts, talks about competition in the marketplace and what businesses need to do to set themselves apart. Read Carolyn’s commentary on creating a customer “experience” to win fans and get people talking about your business. HRMWEB has joined several other business to showcase in the August edition of B2B.The collective business group were supporting the concept of "business coaching". As a smart business owner you strive to spend your time working on your business rather than handling all those time consuming and low value-add office administrative functions. 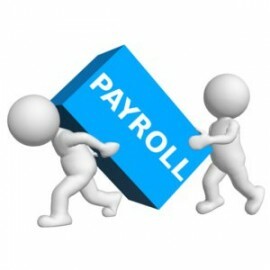 One administrative function you are likely to find both frustrating and time consuming is payroll. It’s not that payroll isn’t important, but it is a standard procedure and one that is not core to your revenue generating business activities. That makes payroll a perfect candidate for improvement through either 1) outsourcing, or 2) streamlining in-house payroll processes. In April's “Guest Writer Series”, Jeff Bailey, Agency Manager of Frontline Retail Canberra, talks about the potential misconception that the “laziness” of our youth is what’s responsible for the current shortage of workers for Canberra’s service industry. Read Jeff’s commentary on recruiting in a "lazy market" and see what his take on this hot topic is. An article in the Canberra Times last year caught my attention and with the recent events around Brand Depot and the news that Costco will soon arrive…. I thought it was a relavant topic again. There were two key quotes in particular that stood out.